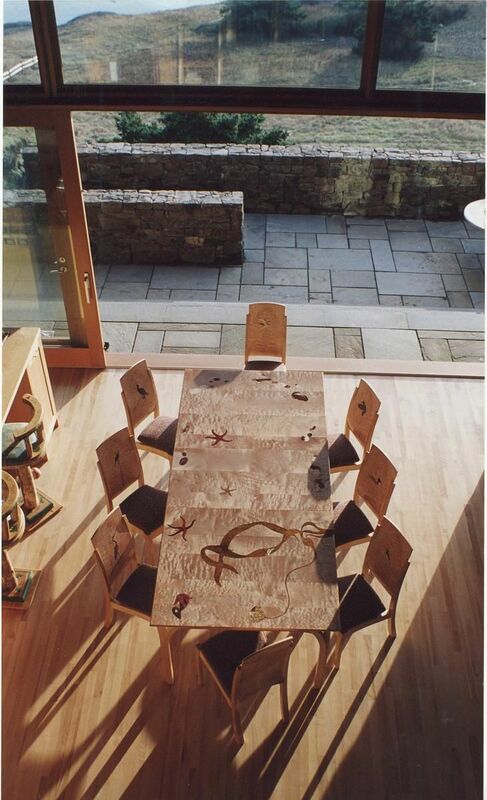 This table has a shimmering figured western maple top inlaid with sea creatures made from both exotic and local woods. The mitered curved legs are sturdy but graceful. Dimensions: We can make this table whatever size you would like. It is shown at 45" wide by 8' long with leaves to extend it to 12' long.